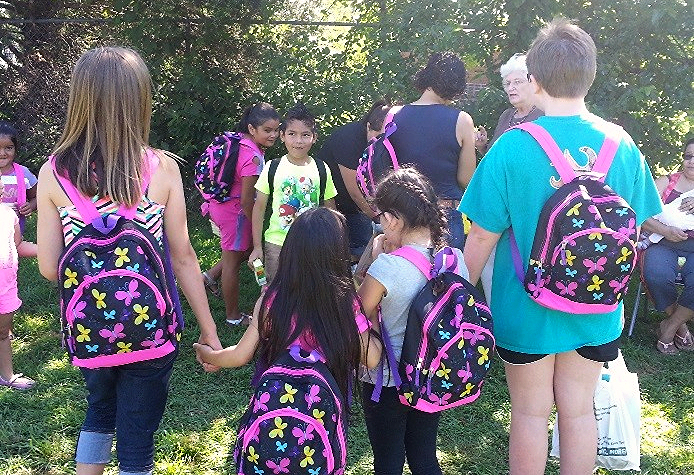 The Summer Reading Program at Whispering Pines distributes books, backpacks, crafts, and school supplies to children and provide opportunities for them to retain their literacy over the summers. Today’s story comes from Tim Sprankle, pastor at the Grace Brethren Church in Leesburg, Ind. A lonely blanket lay strewn with children’s books. The summer reading program at Whispering Pines (Leesburg, Ind.) was in session with a glaring absence. Not a single child came. I figured this third year of our church’s nimble outreach effort would draw hosts of them. The barren blanket told me otherwise. I snapped a photo and posted it to Instagram as a communal lament, adding the comment: The kids’ reading club that has no kids. #ministryfails. Within minutes, several folks “liked” my picture. Their wordless endorsement did not improve my feelings. So I thumbed through Pete the Cat Rocking in My School Shoes while waiting for people to arrive. Leesburg Grace’s summer reading program was born out of a passion for literacy, little kids, and giving witness to the love of Jesus. I had become aware of the alleged achievement gap for students while running a mentoring program for at-risk teenagers in Denver. Summer breaks were notorious for declines in literacy. The situation grieved me, but a fix seemed simple. Getting books into the hands of children and reading aloud to them could stave off their literacy lapses. It would also build a relational bridge into their lives to show God’s care. Sadly, this “simple fix” took five years to conceive, mostly due to my failure to launch. When I realized forward motion did not require a perfect plan, I quit stalling. I called the summer reading program an experiment and began recruiting volunteers, gathering blankets, and collecting books. A month later our book club came to term. 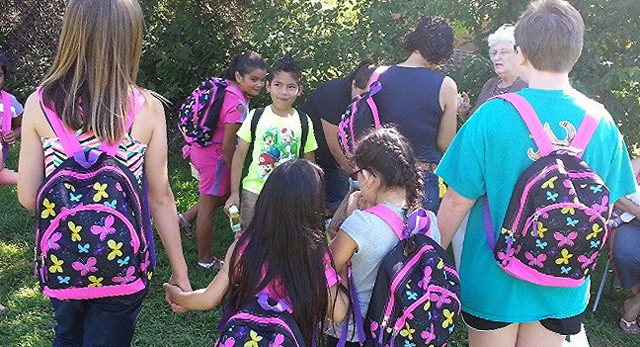 In its first two years, we engaged dozens of kids, numerous parents, several neighbors, and key faculty from the elementary school. We distributed books, backpacks, crafts, and school supplies as incentives. We provided opportunity for kids to read and celebrated their efforts. And we prayed for a few parents facing hard times. Moreover, the reading club provided a service outlet for our church members. Diana Davis, a retired missionary to CAR, said, “I love children, and love the opportunity to encourage them to learn.” Twice a week she taught adorable Hispanic kids to identify letters, colors, shapes, and numbers. In fact, it was this fourth grader who rescued the reading program from its miserable beginning. When he saw the barren blanket, the boy asked Sallie to drive him around the park to knock on doors and make personal invitations. He rallied several youth, convincing them attend. Before the hour ended, our blankets were flush with students. The reading program, Sallie noted, “connects the dots between our church’s outreach programs.” Diana called it “an extension of our English as a Second Language program.” I view it as an opportunity to promote literacy, close the achievement gap, and stay current on the misadventures of Pete the Cat. Most importantly, our summer reading program shares the heart of Jesus. “Showing our love for [these] children, by taking time to help them with a critical life skill, opened the way for more potential opportunities for our church body to show God’s love through our love to their families,” admitted Sallie. The sentiment was not a mere tack on. His love inspires our church to serve. Click here to send a letter of encouragement to Pastor Sprankle.